Everyone knows about Star Trek, the science fiction franchise that started as a TV show and gradually developed into a cultural phenomenom. Similarly, everyone knows about Lucille Ball, the comedic genius who helped develop I Love Lucy,one of the most successful TV shows of all time. But not everyone knows the two television staples have something major in common. Ball is the reason Star Trek exists today. By the 1960s, Ball was one of the most powerful people in television. 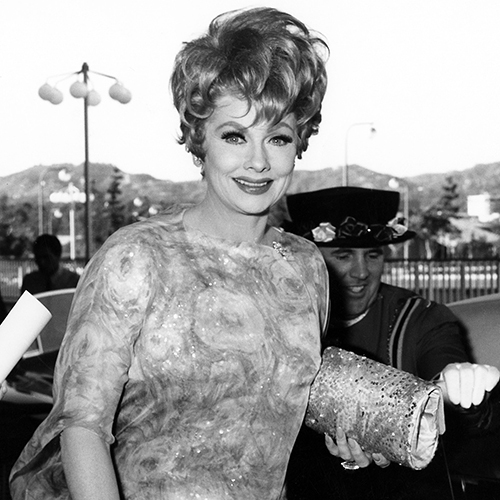 She had morphed from a comedic actress into a savvy businesswoman, owning the largest independent production company in Hollywood at the time, Desilu Productions. In 1964, Star Trek creator Gene Roddenberry pitched the series to the studio as a "Wagon Train to the stars." Many of the executives thought the pitch was ridiculous, but Ball liked the concept, although she might have misunderstood it. Despite the expense of the project, Ball ordered the studio to produce a pilot episode, now known as "The Cage." The network rejected it, which should have spelled the end for the sci-fi series. That's when Ball's influence really kicked in. Because she was the head honcho, she ordered Desilu Productions to create the rare second pilot episode, "Where No Man Has Gone Before." The move was unheard of at the time, but the studio desparately needed new content. The network picked up the show, it won its timeslot and the rest is history. So there you have it, television's original comedy queen is the reason millions of people are able to enjoy Star Trek today. It makes us love Lucy that much more! 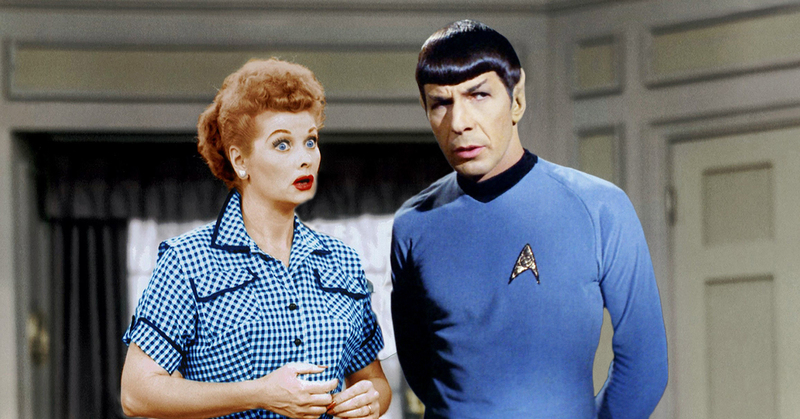 "If it were not for Lucy," said former studio executive Ed Holly, "there would be no Star Trek today."